NITTTR Chandigarh invites the SSA Chandigarh JBT Teacher Recruitment 2018 application forms for 418 JBT Teaching posts on the behalf of Chandigarh Education Department @ ssachd.nic.in. See Samagra Shiksha Abhiyan Chandigarh JBT Teacher Vacancy details. Check the SSA Chandigarh JBT Jobs 2018 Eligibility criteria, Selection procedure, job description & other details given below. Candidates who have met the eligibility conditions like Age Limit, Educational qualification, etc can apply for SSA Chandigarh JBT teacher Vacancies 2018 before 01/11/2018. Are you in search of JBT Teacher Vacancies in Chandigarh 2018? Recently, Samagra Shiksha Chandigarh under Education Department of Chandigarh Administration has invited SSA Chandigarh JBT Teacher Recruitment 2018 online application forms to fill 418 JBT Teacher Vacancies on the contractual basis. So, All the Eligible & interested candidates can apply for 418 SSA Chandigarh Junior Basic Teachers Posts 2018 through the website i.e. www.recruit.nitttrchd.ac.in. The Starting & Closing Dates for the submission of SSA CHD JBT TGT Recruitment 2018 Application Form is 8th Oct & 1st Nov 2018. समग्र शिक्षा अभियान चंडीगढ़ भर्ती!!!! As per official SSA Chandigarh Recruitment 2018 Notification, the age limit of the applicants should be in between 21-37 years. The minimum educational qualification required to apply for SSA Chandigarh JBT Teacher Jobs 2018 is Graduation/ B.Ed/ D.El.Ed/ TET Pass. Check here latest updates on Chandigarh Education Department 418 JBT Recruitment 2018 like Age Limit, Qualification, Online Application, Exam Pattern, Syllabus, Selection Criteria, Exam Dates, Admit Card, Answer Key & Result. The category wise SSA Chandigarh 418 Junior Basic Teacher Vacancies 2018 are as provided above. To apply for Samagra Shiksha Abhiyan Chandigarh JBT Teacher Vacancy, candidates have to possess the below-mentioned eligibility criteria like Age Limit, Qualification, etc. As mentioned in the official SSA Chandigarh JBT Teacher Recruitment 2018 Notification, Relaxation is applicable to the SC/ ST /OBC/PWD/ PH Candidates as per on Government Rules. Graduation or its equivalent from a recognized University with 50% marks to apply for Samagra Shiksha Abhiyan Chandigarh Vacancy 2018. 2 years Diploma in Elementary Education (D.El.Ed.) or Bachelor’s Degree in Elementary Education (B.Ed.). Must have passed TET (Paper-I) conducted by CBSE New Delhi applicable for the teachers teaching the class I to V in accordance with the Guidelines framed by the NCTE. Further details regarding Chandigarh Education Dept 418 JBT Teachers Recruitment 2018 like Application Fee, Selection Process, Salary, Important Dates, Links, etc. For SC/ST candidates application fee:- Rs. 400/-. The SSA Chandigarh JBT Teacher Recruitment 2018 Process includes only the Written Test. The Chandigarh SSA JBT Recruitment 2018 Apply Online Link will be available active from 8th Oct 2018 to 1st Nov 2018 @ http://chdeducation.gov.in/. Get the step by step procedure to fill SSA Chandigarh JBT Recruitment 2018 Application Form from the following sections. Now on the homepage, you will see “Apply online Chandigarh SSA Recruitment for 418 JBT Teacher Posts” link. Click on the link which will take you to SSA Chandigarh Recruitment 2018 Application Form. Now fill up personal & qualification information in the SSA Chandigarh 418 teachers recruitment form before proceeding. Then, upload the photograph & signature. After that, pay the application fee & complete the SSA Chandigarh Teacher Recruitment 2018 online application process. Finally, keep the hard copy of the SSA Chandigarh JBT Vacancy 2018 Application form for future reference. 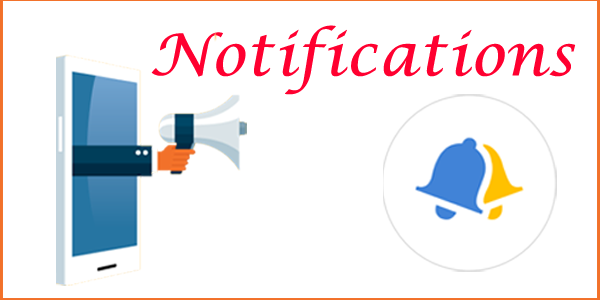 The full details gathered on this page about Chandigarh Education Dept JBT Recruitment 2018 Notification is for the reference purpose only. If you have any doubts, refer the official SSA Chandigarh JBT Teacher Recruitment 2018 notification attached below. Any age relaxation for woman ..please guide?